We are now serving Lover Roll (8 pcs). It features Maryland crab meat and asparagus inside. 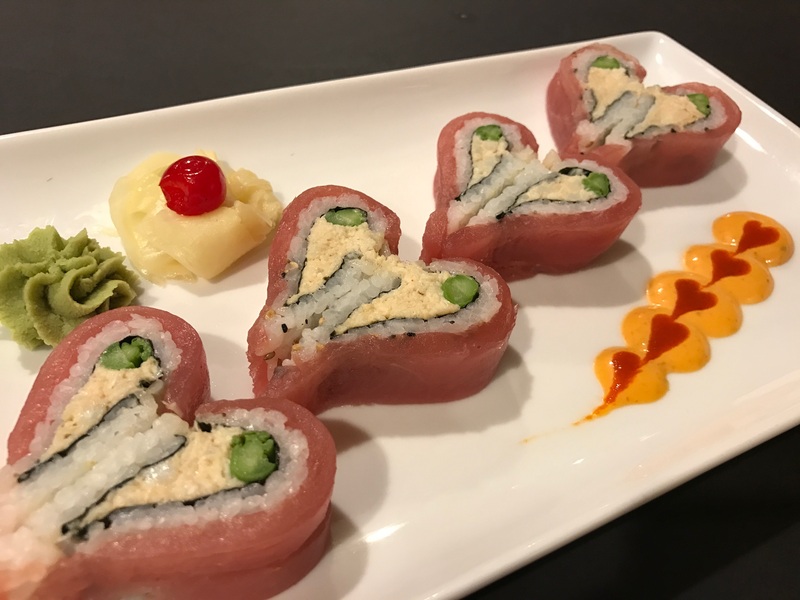 Garnished with tuna in heart shape. Spicy mayo and sriracha sauce on top @ $18.00. Also, we are going to give away free Japanese chocolate (Strawberry and Green tea flavor) in beautiful Origami box on Valentine’s Day! Offer applies to dine-in ONLY and until supply lasts!